You are here: Home / Blog / News / New Book Style! 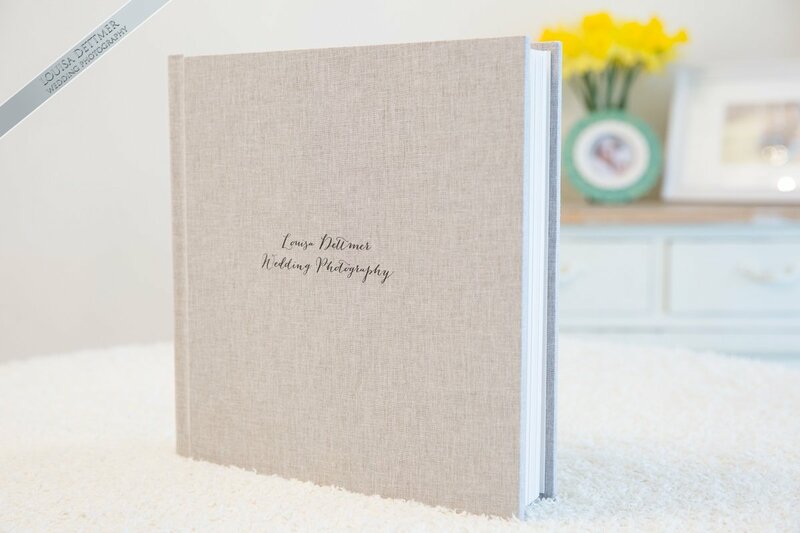 Every Fine Art Book is handcrafted with care using the very best, eco-friendly materials to beautifully showcase your wedding photos. Your Fine Art Book comes in a broad range of cover options to make your book truly personal. Forty pages of fine art paper within the handmade book is of the highest quality and selected to last a lifetime. The 100% Cotton cover is a lovely Pebble grey colour which we feel give a timeless quality, we have also selected a polish pearl effect end-paper to give your book the perfect finish. Our Contemporary Leather cover is a genuine natural leather of the finest quality and durability sourced from manufacturers with strict animal welfare policies. For more information please call or email us to arrange an appointment.